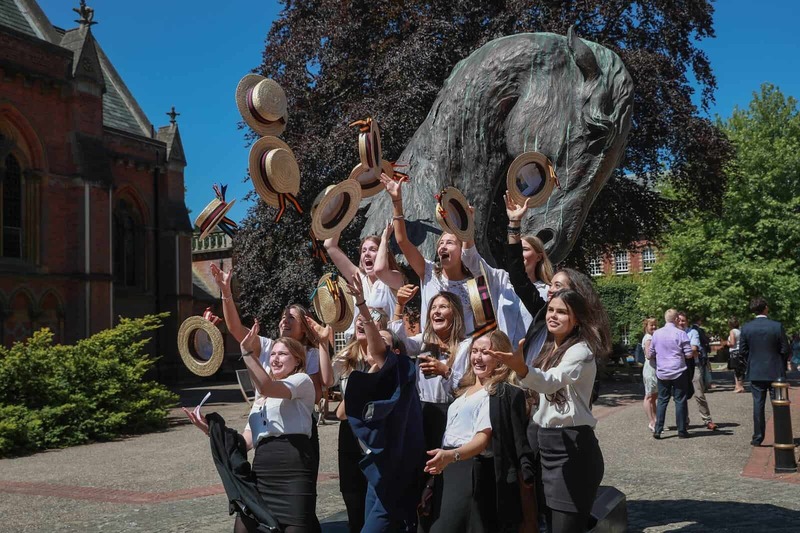 It has been another year of celebration for Wellington College’s Upper Sixth, who have achieved a brilliant set of A Level and IB results, some of the best in the College’s history. Over a quarter of grades awarded were A* (A Level) or 7 (IB), over two thirds of the cohort achieved A*-A/7-6 and over 90% achieved A*-B/7-5. As well as achieving outstanding academic results, this year’s cohort has included some of our strongest musicians, dancers, actors and artists, not to mention student journalists, members of our WTV and DukeBox crews, as well as two international cricketers. These results now see this group of Old Wellingtonians move off in all directions around the globe as they embark upon their university careers. Destinations in the UK include UCL (11), Imperial (6), LSE (5), Cambridge (6) and Oxford (14), as well as overseas institutions such as Dartmouth, the University of South Carolina, the University of Pennsylvania, Northeastern and the University of Chicago in the US, and also Bocconi University and the University of Lausanne in Europe. Well done and good luck to all our leavers.